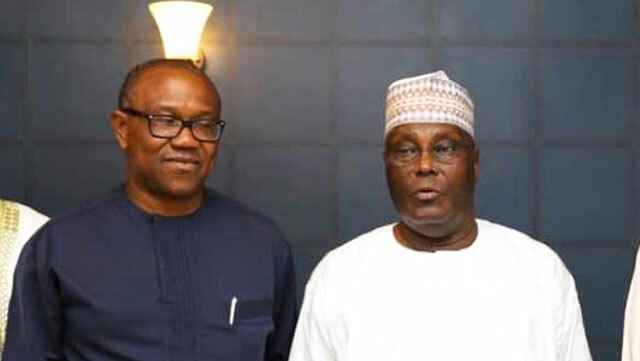 The People’s Democratic Party (PDP) presidential flag bearer, Atiku Abubakar was cautioned on Tuesday by the Northern Youth Leaders Forum (NYLF) for choosing Peter Obi as his running mate in 2019 general election. Atiku recently picked former Anambra State Governor Peter Obi as his vice-president for the forthcoming election. NYLF youths tabled their demand Tuesday after a meeting on Monday with former President Olusegun Obasanjo in Abeokuta, Ogun State. The national chairman of the group, Elliot Afiyo, advised Atiku to rethink his choice of Obi as his vice-president, if he hopes to earn the North’s support. Afiyo said northerners “consider Peter Obi as anti-North” in the way way he treated the northerners when Obi was the governor of Anambra State. He stated that Obi is been considered as a bonafide member and major sponsor of Indigenous People of Biafra (IPOB) by the Northerners . Obi’s spokesman Valentine Obienyem dismissed the claims by the group. “Obi has been busy preaching unity of the country and how good governance will solve the problems in Nigeria caused by cumulative years of leadership failure that make the protest under review suspicious,” he added.